With non stick dosa tawa, karahi and fry pan you can prepare burnt free bread & roti, thepla or dosa. Enjoy these yummy foods with your loved ones prepared with the help of this cooking magic. The arrival of non-stick and hard anodized cookware, you can cook each dish without burning a single spot. Due to its easy use, housewives find it easy to use and clean. Moreover, it requires much less oil during cooking, and thus, the food cooked here are lower in calories which is very healthy. And healthy food is warmly welcomed by everyone. If you want to buy non-stick cookware, you're in the right place; here you will find a wide range of non-stick cookware. 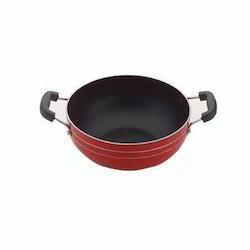 CLASSIC being one of the largest non stick cookware manufacturer in India offers varied sized cookwares that are of high quality and long lasting. • Preserves the inherent moisture of the food to retain its nutritive value. • Featuring with large heat-resistant knob. • Highly durable and designed to perfection. • Heavy Aluminium alloy makes it tougher & sturdy. • Coated with 2 coat non stick. • Aluminium grit blasted for better adhesion. • Attractive high temperature resistant outer coating. • Low oil consumption & it saves fuel. • Spiral grooving for even heat distribution. In recent times, no home needs any introduction to non-stick cookware. This name is popular among every housewife. This cookware is made of the finest quality of food grade aluminium ensuring safe cooking and longevity which saves fuel and time, without diminishing the valuable vitamins of the food. All our products are free of harmful chemicals like PFOA and are long-lasting. With non stick dosa tawa, karahi and fry pan you can prepare burnt free bread & roti, thepla or dosa. Enjoy these yummy foods with your loved ones prepared with the help of this cooking magic. 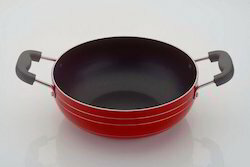 The arrival of non-stick and hard anodised cookware, you can cook each dish without burning a single spot. Due to its easy use, housewives find it easy to use and clean. Moreover, it requires much less oil during cooking, and thus, the food cooked here are lower in calories which is very healthy. And healthy food is warmly welcomed by everyone. 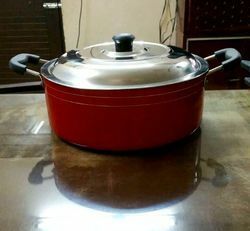 If you want to buy non-stick cookware, you're in the right place; here you will find a wide range of non-stick cookware. CLASSIC being one of the largest non stick cookware manufacturer in India offers varied sized cookwares that are of high quality and long lasting. Features:• Preserves the inherent moisture of the food to retain its nutritive value• Featuring with large heat-resistant knob• Highly durable and designed to perfection• Heavy Aluminium alloy makes it tougher & sturdy. • Coated with 2 coat non stick.• Aluminium grit blasted for better adhesion.• Attractive high temperature resistant outer coating.• Low oil consumption & it saves fuel.• Easy to clean and maintain.• Spiral grooving for even heat distribution. Delivery Time: 2 Or 3 Week After Receiving P.O. Packaging Details: Each Piece Gift Box Packing & 24Pcs. In Master Carton. cooked here are lower in calories which is very healthy. And healthy food is warmly welcomed by everyone. 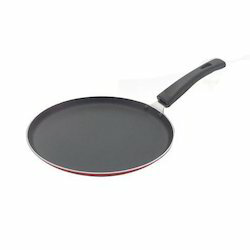 We are recognized as one of the most profound manufacturers, suppliers and exporters of Non Stick Fry Pan. Our entire range is made by employing optimum quality materials and sophisticated technology in compliance with the international quality standards. Available in various attractive designs, these are rugged in design and are easy to use and clean. 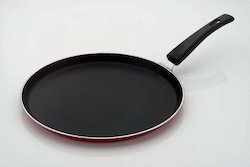 Due to its non stick surface, food does not stick at bottom of pans and minimum oil is required in the cooking. Our esteemed patrons can avail from us a wide range of Non Stick Fry Pan at very moderate prices. 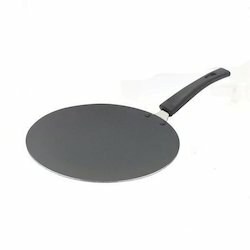 By providing unmatched quality cookware, we have become a profound manufacturer, exporter and supplier of Non Stick Fry Pan. This pan is highly acclaimed for its rugged design and easy to use & clean. With the aid of latest manufacturing process, this fry pan is designed and manufactured by making use of quality checked raw materials and modern machines in compliance with defined industry standards. Due to its non sticky surface, the food does not stick at bottom of pans and minimum oil is required for cooking. 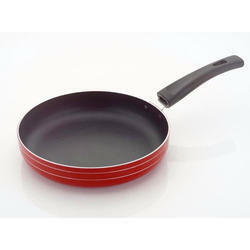 Further, this Non Stick Fry Pan can be purchased from us at pocket-friendly prices. Heavy Aluminium alloy makes it tougher & sturdy. Coated with 2 coat non stick. Aluminium grit blasted for better adhesion. Attractive high temperature resistant outer coating. Low oil consumption & it saves fuel. Spiral grooving for even heat distribution. Our hard anodized aluminum cookware is hugely demanded in global market. We provide hard anodized aluminum cookware which is completely stick-resistant. 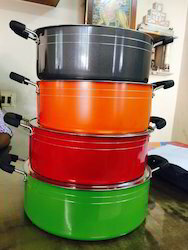 Our hard anodized cookware’s are non reactive with the food stuff which ensure the high quality of food. 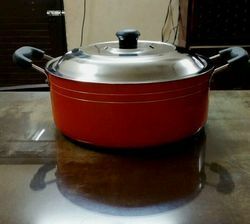 In addition, we proffer hard anodized aluminum cookware which does not alter the color of any food stuff. Our entire aluminum cook-wares are available at the most genuine price. 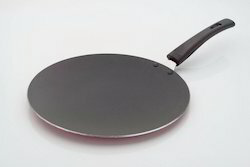 Made from best quality aluminum, this tawa is notable for its distinctive features like fast heat transfer ability, superior quality coating, user friendly nature and low maintenance cost. 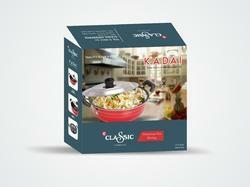 This cookware is perfect solution of preparing food in a hygienic way due to the non-toxic nature of its coating. In addition to that, the Hard Anodized Concave Tawasaves sufficient amount of energy and saves cooking time. Packaging Details: 36 Pcs Stacked and packed in a HDPE Bag. Features:• Preserves the inherent moisture of the food to retain its nutritive value• Featuring with large heat-resistant knob• Highly durable and designed to perfection• Heavy Aluminium alloy makes it tougher & sturdy. • Coated with 2 coat non stick.• Aluminium grit blasted for better adhesion.• Attractive high temperature resistant outer coating.• Low oil consumption & it saves fuel.• Easy to clean and maintain.• Spiral grooving for even heat distribution. Packaging Details: Each Piece Gift Box Packing & 24Pcs. Per Master Carton. We are one of the most trusted aluminum cookware manufacturers, providing Non Stick Cookwares which are widely well known for their high quality. These aluminum non stick cookware and non stick cookwares are available with us are at the most reasonable price. 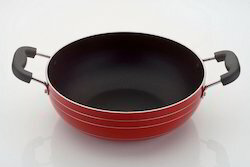 We have vast experience in dealing with various aluminum non stick cookware and non stick cookwares. 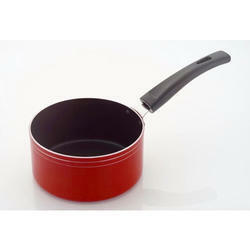 Our aluminum non stick cookware and non stick cookwares are available in wide range of choices. 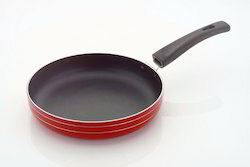 Furthermore, our non stick cookwares are long lasting and retains the quality of food.